Yes, I am fully aware that it’s still only November, but I’m already thinking about the upcoming Christmas season. 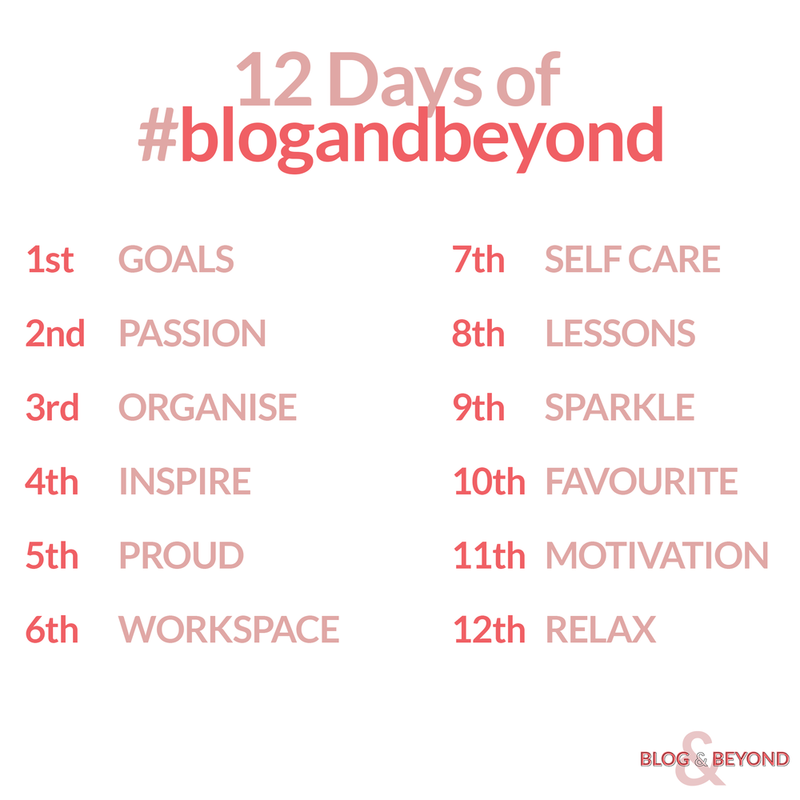 This is Blog and Beyond’s first Christmas and I felt like that was something worth celebrating, and so #12daysofblogandbeyond was born! It felt wrong to celebrate solo, which is why I’ve lined up twelve days of fantastic giveaways for the Blog and Beyond community as a huge thank you for supporting us throughout 2018. Starting on December 1st there will be daily giveaways with absolutely amazing prizes including stationery from Busy B, some of our favourite books for bloggers, Lush vouchers, mini coaching sessions and exclusive Blog and Beyond mugs. Yes, mugs! I’ve finally bit the bullet and designed some, quite frankly, cute as hell mugs that will look fab on your Instagram feed. This is going to be the only chance to get your hands on the exclusive mugs for now, and there are only a handful available to win. So, how do you get involved? It’s simple. Every day there will be a brand new prompt for you, and all you have to do is create a post on your blog or on Instagram based on the prompt for the day. Each post will count as an entry, so you can post on both your blog or on Instagram for up to two entries a day. You’ll need to tag the Blog and Beyond accounts, be that on Instagram, Twitter or Facebook, and use the #12daysofblogandbeyond hashtag so that we can see your post. Each giveaway will last for 24 hours, so you’ll have the full day to post your entries. The winner will be announced the following morning, and at the end of the 12 days there will be an additional three prizes on offer for people who have taken part every day. Day 5: Proud - one of the limited edition Blog and Beyond mugs! Day 8: Lessons - a stationery bundle, because stationery is the best! Day 10: Favourite - Sarah Knight’s No F*cks Given Guides - The Life Changing Magic of Not Giving a F*ck, Get Your Sh*t Together and You Do You! And for the overall competition prize, there’s a personalised blog coaching session worth £197 up for grabs! Two runners up will also be selected, and will receive one of the limited edition Blog and Beyond mugs as well as some Christmassy treats. Unfortunately due to postage this is a UK only competition, but I’m planning some more worldwide giveaways next year! Who’s excited? Be sure to tweet us at @blogandbeyond and let us know which prize you’ve got your eye on!